New & Used ground equipment. We recondition and overhaul aircraft GSE to ensure it is the best in the industry. Legacy GSE provides the most reliable airport equipment at reasonable price points to keep your company operating and on budget. Legacy GSE takes pride in our equipment by providing excellent service and sales to FBO's, MRO's, corporate flight departments, small airlines and air cargo handlers around the globe. Call today to buy, sell or trade your ground support equipment. We can ship your equipment world wide. Logistics options include overland FTL & LTL truck freight in the USA, Canada and Mexico. Export options via ocean vessels include RORO, flat rack, high cube and open top containers. 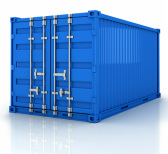 Now offering container loading, crating, palletizing, and air freight to most countries globally.